This is an easy guide that walks you through how to install Streamline Kodi Build. This guide is intended for Amazon Firestick. Pro Tip: If you love streaming TV and Movies on Amazon Firestick, then check out my Ultimate Jailbreak Firestick walk-through. Streamline Kodi Build was designed to be used on Kodi 18 Leia. It is small enough to function on just about any device, yet it’s super-fast and powerful when run. Based on these and many other reasons, we have chosen Streamline as the most reliable Kodi Build for Kodi 18. Before you begin a Kodi Build installation, I always advise you change Kodi settings to default (aka Reset Kodi). It is straightforward to do this if you had Kodi running on that device. Select the name you used to save the media source initially. Once it is done, Kodi will initiate a forced close, and build installation will be complete. As soon as the app closes, you can re-launch Kodi to get your Build ready for use. After the closing of Kodi, re-launch the app to verify the complete installation of your Build. Ensure to allow the installation of all menus to build and add-ons. This may take a while. The Streamline Kodi Build has got everything you need for a fantastic streaming experience because It appears to be extremely fast. If you run a previous version of Kodi like Kodi 17.6 Krypton, your particular Streamline build is also available. Locate it inside the Whiz Kid Wizard post a successfully installation of the repository above. 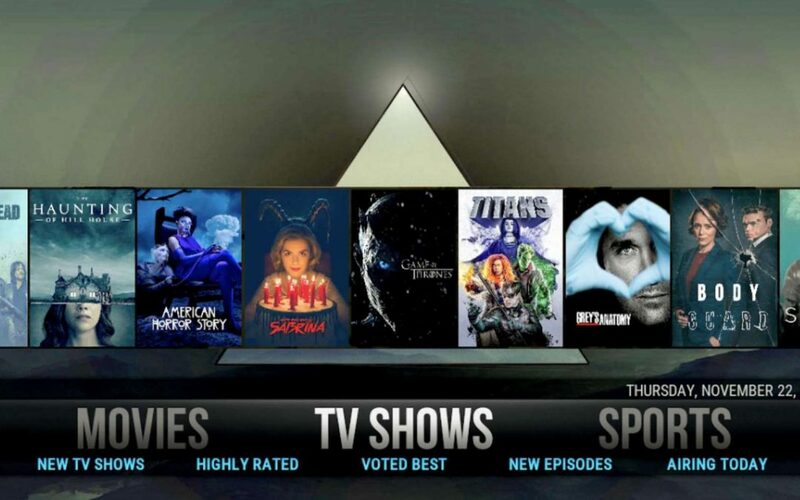 Streamline build features these 7 Categories: Favorites, TV Shows, Power, Sports, Wizard, System, andMovies. Add-ons within Streamline consist of some very common choices such asYouTube, Rising Tides, Planet MMA, Exodus Redux, Magic Dragon, SportsDevil, and more. Generally, Streamline is an excellent choice for devices running Kodi 18 or any other versions. And because of its compressed nature, it can run smoothly on the most renowned streaming devices such as Amazon Firestick.